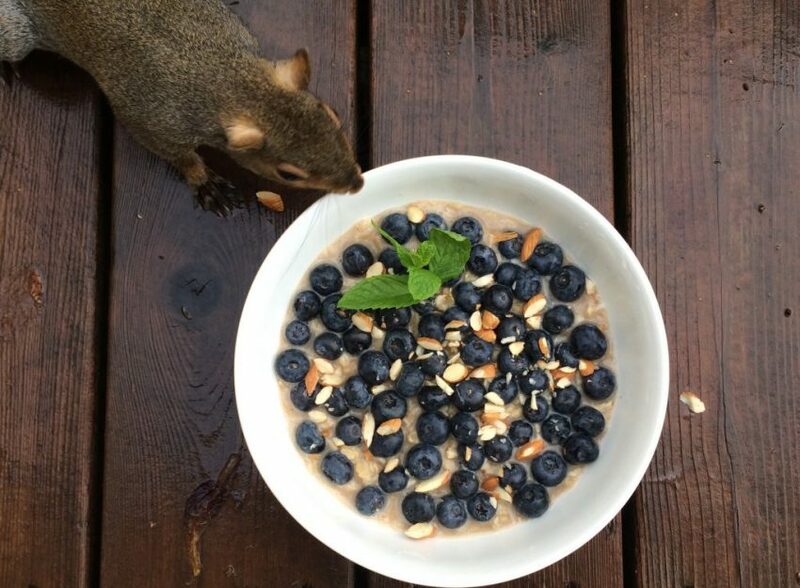 We made this breakfast offering and went to take the photo and no sooner did we put the bowl down for the shot that our trusted mascot came scurrying up to git her morning breakfast. It was a little heart breaking when we had to tell her the news to that this particular bowl wasn’t hers. 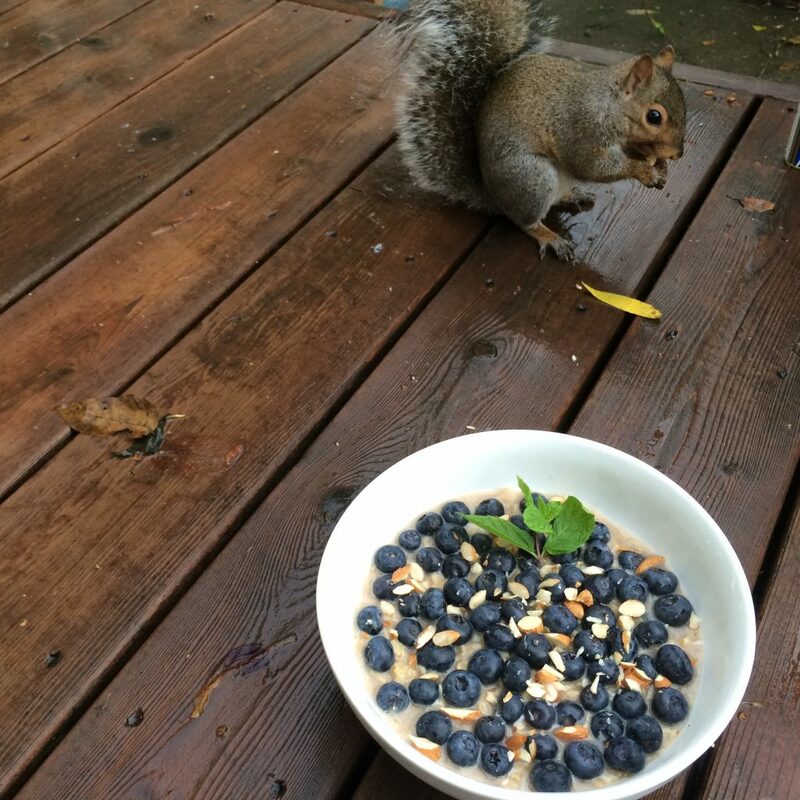 She did however, get a handful of whole almonds for her cameo appearance. Next time Z. – go the extra mile and garnish this bad boy. You’re partner will love you all the more for it.